Often in life, we walk around aimlessly seeking the meaning of our lives, to find something that can validate our own existence. What is my purpose? Why do I exist? Will I ever find true love? All these questions coincide with one another. Having faith in a world that's filled with pain, suffering and deceitful people can be difficult but in order to appreciate the good things in life, one must also experience adversity in order to understand that life is a culmination of the good and the bad. It's all about balance. Ultimately it's up to you as an individual to choose how you will react to obstacles that might arise in your life. Focus your mind only on the thing's that bring you peace of mind and happiness. Everyone need's some reassurance from time to time. Whatever path we are all on as individuals, we will all meet the same fate. That's why I encourage everyone reading this post to do everything you can to appreciate every single aspect of your lives- even the thing's that have brought you a great deal of pain and heartache. It's a character building phase. If you're going through difficult times just know that you have the power and resiliency to overcome anything. Do not give up and surrender! Share your dreams with the Royal Quest community, inspire and empower one another! When I initially started playing this online game, I didn't think it would help define me as a person. I didn't think It would help me on my path to enlightenment and on my everyday goal of becoming the very best version of myself. Because of this game... A virtual world, I found something that's real that I've been searching for my whole life. Something that gives me peace of mind and fills me with happiness and that's indescribable with words. What I'm referring to is that someone special. That person who empowers you and brings out the best in you as a person. That person who mirrors you on a spiritual level and makes you realize whats truly important in life. Because of the unfairness of life, I became a bitter, cold person; one whom wouldn't believe in love or that such a person even existed in a world that's filled with pain and suffering. How could I? Me? Find someone who is honest, faithful and compassionate when I gave up on the idea that such a person even existed? Although I was on a self-destructive path riddled with self-pity and circumstantial depression... deep in the depths of my mind I never truly gave up that such a person who would mirror me to the very fiber of my being existed. The amazing part of all of this is I found everything I've ever been searching for and more in a world that's not even real yet the feelings and emotions that I feel are undoubtedly real. What ever stage you are in your life or whatever painful experiences you've faced in the past, don't allow them to dictate to you how the rest of your life will turn out. You have the power to forge your own happiness. In order to be truly happy, I believe you must find that happiness within yourself before you allow another person to amplify that happiness. Your happiness should never be solely because of another person, but because you've exercised your spirit, your faith; knowing that no matter how bad things get you will adapt, overcome and become the strongest version of yourself because of these trials and tribulations. If you stay persistent and believe in yourself you will find that ''orange seal'' eventually... no matter how long and hopeless it may seem, giving up should never be an option. I believe in you, now its time for you to believe in yourself. You can do it! Because what you are seeking in this life time is also seeking you. Enjoy the rest of your day folk's and take care of one another. Life is a beautiful thing. Edited by Nomaso (Elgore), 20 August 2017 - 04:27 PM. 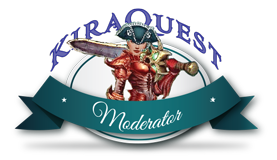 Edited by KiraQuest (Elgore), 20 August 2017 - 10:52 AM. Looks I've gotten older too fast. 23 years old and i've been stepping on landmines since I was 18.